Guess what everyone! Not only is it time for a new POW, Pick Of the Week podcast, but last week was Simon’s birthday! Hooray for the birthday boy! What an amazing, special occasion. So, of course Simon had to lord it over everyone and maliciously steal Ian’s pick! Wotta’ prick! 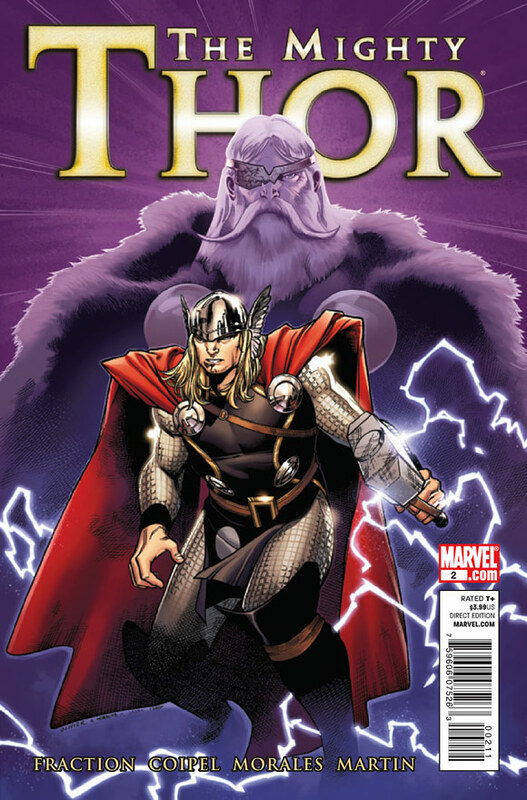 This week, Simon picked The Mighty Thor #2 by Matt Fraction and Olivier Copiel. If there’s one thing Simon likes, it’s French people. You better listen to this week’s podcast if you know what’s good for you! Where else will you hear Ken channel the spirit of Don Knotts? Plus, find out why Ian, if Simon hadn’t so cruelly stolen his pick, wouldn’t have picked any DC book this week regardless of how good it may have been. This week, the crew also talked about Detective Comics #877, Super Dinosaur #2, Walking Dead #85, Astonishing Spider-Man and Wolverine #6, Deadpool #37, Uncanny X-Men #537 and Wolverine #9.